Your massage therapist always tells you to “drink plenty of water” after a treatment. Allow me to demystify this water pushing conspiracy. I personally believe that water does help flush out the stuff that is released from tissues during a massage whether you want to call them toxins or not. I will not go into this in depth here. Muscles also need hydration to function properly. Water is good for healing on most levels and supports detoxification, cellular function, flexibility, etc. Most people are just dehydrated anyway, so I feel it’s always a good call. When you come to Jackson Hole on vacation you will also have people telling you to stay hydrated. This is for very good reasons. Secondly, Jackson has a high desert climate. That’s means it’s dry…. really dry. Like, leach the moisture out of your cells dry. Staying hydrated here is not just necessary, it’s paramount. It can mean the difference between having a great time on your vacation or ending up in the hospital. Now you’re probably asking yourself, “How much water SHOULD I be drinking then?” Most people think that if they’re drinking any water at all, or even anything that has water in it it’s enough. 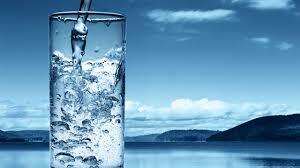 – It is also recommended that you drink half of your body weight in ounces of water daily. I subscribe more to this line of thinking. – Generally speaking, if your urine is clear you’re in the clear. We also need to take into consideration if you drink caffeinated and diuretic beverages such as coffee, pop, or alcohol you are losing even more water. So for those who feel that by drinking anything you’re hydrating: you’re wrong. My rule of thumb is, for every caffeinated beverage, drink a glass of water to replace lost hydration. Perhaps another interesting side note to address is electrolyte imbalance. “Drinking too much water without replacing electrolytes can make you hyponatremic (the flushing away of important electrolytes in the bloodstream due to excess water), which can be a life-threatening illness.” http://www.mountainguides.com/wordpress/2009/05/07/gear-questions-answers/q-what-can-i-do-to-help-prevent-altitude-sickness-are-there-any-medications-i-can-take/ One of the best ways to naturally replace electrolytes is with celery juice. Don’t worry, it tastes pretty good, and it’s easy to mix with other juices like cucumber, spinach, and cilantro for a super healthy and refreshing concoction. Also, drink water throughout the day. Slamming 2 litres of water in the morning to cover the whole day doesn’t work. – Carrying big water bottles. The Jackson community is a pretty big advocate of Mother Earth and we do what we can to reduce waste and minimize our impact. Most everyone carries at least one water bottle around with them everywhere. We even have our favourite places to refill our water bottles throughout the day. – Camelbak If you’re on the go a Camelbak is one of the best ways to stay hydrated when carrying a water bottle is too cumbersome. Whether you’re skiing, hiking, biking, whatever….if you have a Camelback, you have no excuse not to hydrate! – Bike water bottle holders With this you can bike anywhere and always have water accessible.